There’s something about passing 40 that makes a person more aware of their joints and joint health. It’s probably that those joints suddenly seem a little more vulnerable to damage, a little more likely to hurt after a day of moving furniture or turning valves. Our bones may still be strong, but our joints, oh, they’re getting a little more delicate. It’s suddenly important to take care of them. No one wants to be 80 and limited because they took their knees, or shoulders, or ankles, for granted. The time to keep our joints healthy is before they stop working. Joints are especially vulnerable to damage and inflammation. We need to take care of them before they stop working! I’m not an athlete, and I don’t work a physically demanding job like my husband. However, I notice when my joints are out of sorts because I type and crochet. My wrist and finger joints get a huge work out! When I started having pain every time I picked up a hook to crochet, I knew I had to do something about it. I wasn’t willing to stop crocheting. My first choice was to switch to the large handled ergonomic crochet hooks. That helped, but it was a band-aid fix. I knew that the repeated movements would cause stress and strain. My joints needed support from the inside out. It was time to find a supplement that would do just that. Supplements have gotten a bad rap over the past few years. Studies of popular brands on store shelves discovered that most of the active ingredients were either sub-par, such lose dosage they were ineffective, or weren’t even in the supplement! Some supplements were little more than rice flour. Several articles came out at the time, telling us all how stupid we were for wasting money on any supplement at all. The problem with throwing the supplement baby out with the bath water is that the study didn’t prove supplements ineffective. It just proved that a lot of supplement companies are cheats and liars. The moral of the story is to check out the company and the quality of their products, not to forego supplements that could support healthy body systems. My favorite, go-to joint supplement is Young Living’s AgilEase. It’s part of their targeted nutrition line, and designed to support joint health and ease the effects of stress and strain on them. 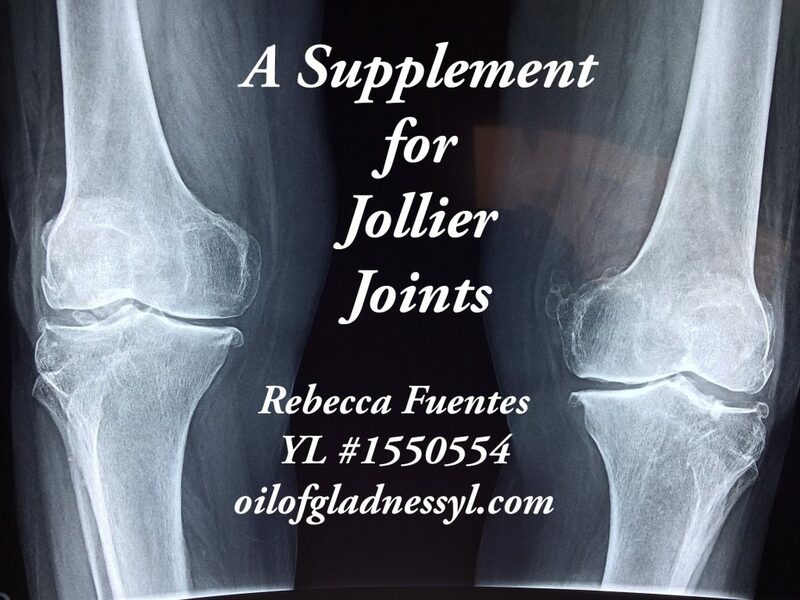 It includes frankincense resin, collagen, turmeric compound, and hyaluronic acid–all commonly used to help with joint health and discomfort. Frankincense resin has been used for millennia. The resin is often chewed, and the extracted oil was commonly used for many medicinal applications throughout history. History really isn’t enough to use something for support. It’s a good thing that scientific studies have supported the folklore. Frankincense has frequently been studied for its effects in relieving pain and inflammation. As this study notes, frankincense (and myrrh) were effective at reducing the inflammation from rheumatoid arthritis. Another study found it effective for relieving pain. Finally, this study combined frankincense extract (boswellic acid) with curcumin extract (from turmeric) and found them effective for increasing mobility and reducing pain as compared to a placebo. Turmeric is a bit of a darling in the supplement world. Like frankincense, it has a long history of medicinal use and multiple modern studies to back the claims up. The active compound in turmeric is curcumin, which has been found to reduce pain and inflammation. However, it is most effective when paired with black pepper. A compound in the black pepper activates the curcumin in the turmeric. 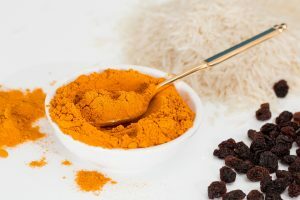 Taking turmeric or a curcumin supplement without black pepper means you’re missing many of the benefits. (Yup, AgilEase contains black pepper). The Arthritis Foundation refers to studies that show turmeric is better at preventing inflammation than reducing it after the fact. It also was more effective in reducing pain for those with RA than diclofenac, a popularly prescribed NSAID. Known for its bright yellow color and use in Indian cuisine, turmeric also has a long history of medicinal uses. Collagen won’t reduce the inflammation or pain in your joints (sorry). So why supplement with collagen or gelatin? Our bodies build and repair themselves from amino acids. Some of these we can build ourselves. These are non-essential amino acids. Some of our necessary building blocks, though, can’t be build inside the body. These are essential amino acids–amino acids we must take in through our diet. To further complicate things, some amino acids are conditionally essential. If we are healthy, we can build them, but if we are under stress or in a situation where we are needing to repair or build up large amounts of tissue, we can’t build them fast enough. We have to supplement with outside amino acids. Some of the amino acids in collagen or gelatin supplements are essential or conditionally essential. For example, hydroxyproline is needed to build up connective tissue. The precursor of hydroxyproline is the amino acid proline, one of the conditionally essential amino acids. Collagen contains glycine, an amino acid that is conditionally essential during pregnancy when the body is building an entire new human. Great Lakes lists the amino acids in their collagen, including several that are essential. All of this is to say that the collagen in a supplement is preventative, a way to ensure our bodies are getting the essential and conditionally essential amino acids they need to build strong cartilage, tendons, and ligaments. It may not reverse damage and inflammation already there, but it can stack the deck in our favor for preventing these. Hyaluronic acid provides the cushioning and lubrication for our joints and is also essential to eye health. It is often taken orally or injected to help with joint problems. Like collagen, it can supplement what is already in our body. However, hyaluronic acid supplementation has been shown to also reduce joint pain. Hyaluronic acid is already a set, acceptable treatment for joint pain and inflammation, as well as a preventative, and may also benefit the health of eyes and skin (a nice bonus!). Do the ingredients in Agilease work? I think we can give a resounding yes, based on the evidence. I know from my own experience that missing it for a few days will certainly result in pain after crocheting or typing for too long (especially during pregnancy). Plus, I know that what is on the ingredient list is actually in the capsule, because I trust the integrity of Young Living.